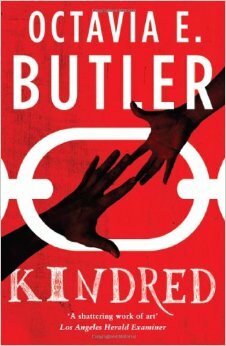 I discovered Kindred on a list of the best sci-fi books written by female authors. I was ashamed to realise I hadn’t even heard of half the names on the list let alone read the novels, and as Octavia E. Butler’s Kindred sounded particularly fascinating I decided to rectify my shame by buying it. The novel is set in the 1970s – the decade in which it was written by Butler. Dana, a young black American woman, and her husband Kevin, a slightly older white American man, are moving into their new home when Dana begins to feel dizzy. She collapses, and when she awakes she is somewhere outside of a forest near a river. A young red-haired boy is drowning in the water and without thinking she jumps in to save him. She begins to give him mouth-to-mouth on the riverbank but the boy’s mother accuses her of trying to kill him. Dana manages to revive the boy, who is immediately snatched away. At this point the boy’s father arrives and points a gun straight at Dana who, terrified, begins to feel faint again. She collapses and wakes up back in her home with Kevin. As far as Dana is concerned she was gone a fair while, but to Kevin she had disappeared and reappeared in a mere second. After subsequent collapses she realises that she is somehow travelling back in time to the early 1800s. Each time she time travels she is somewhere in the vicinity of the red-haired boy who is in some form of danger that she has to save him from. He is also older every time she returns and she can only get back to her own time if she fears for her own life. The boy gives her his name, Rufus Weylin, and she recalls from her family records that he is one of her ancestors. It soon comes apparent that she is being called back in time to keep him alive so that his bloodline may continue, otherwise she may cease to exist. In early 1800s America the slave trade is legal and thriving, so not only does Dana have to cope with time travel and ensuring Rufus remains safe but she also has to try and survive in an incredibly gruelling period of history. She is confronted with insurmountable cruelty, violence and injustice that is almost unfathomable when compared to modern western culture. I rarely describe novels as a page-turner but Kindred was exactly that. Although the characters weren’t quite as compelling as the plot, the story as a whole was so riveting I read it quicker than I have read anything in months. I devoured each cliffhanger, completely absorbed in Dana’s fight for peace in such a tumultuous time for black people. Kindred obviously includes some incredibly disturbing material that Butler was careful not to exploit. It’s a main feature of the plot and is used to demonstrate the absurdity of racism, but I never once felt any blame, bitterness or spite from Butler. The fact that the character Dana was married to a white man was almost certainly used to show how far the world has come in acceptance, which is a beautiful message to provide the reader rather than one of guilt or anger. 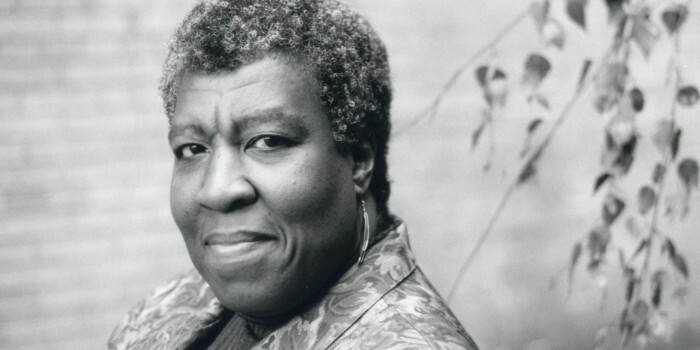 Once again, I must declare the complete disgust I have for myself for not knowing who Octavia E. Butler was until a couple of months ago. I defy any fans of sci-fi not to adore this intense and fascinating novel about love and equality.